As our newest addition, this beautiful petrol station in Niemenharju is located on European highway E75 which runs from the South of Greece to North Cape all the way through to the North of Europe. It was constructed as a blissful retreat from the busy roads allowing visitors full view of Lake Kolima, a remnant from the ice age. 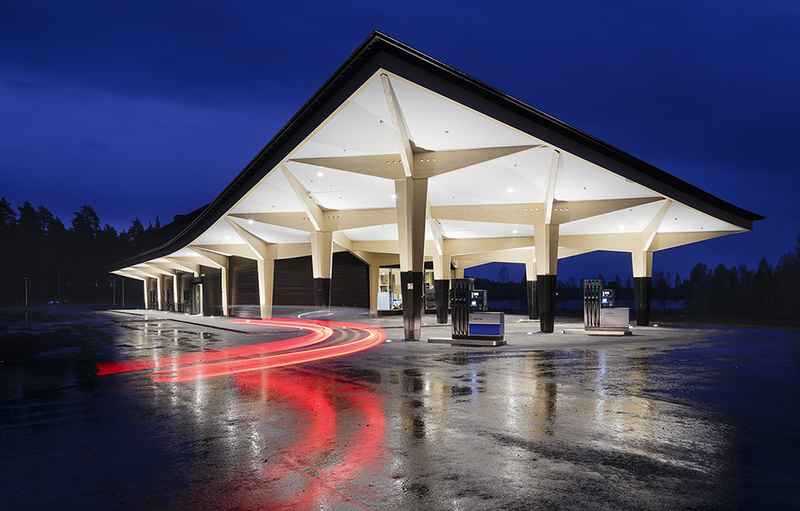 The station take inspirations from its natural surrounding ensuring its features are responsive and complementative to the area. 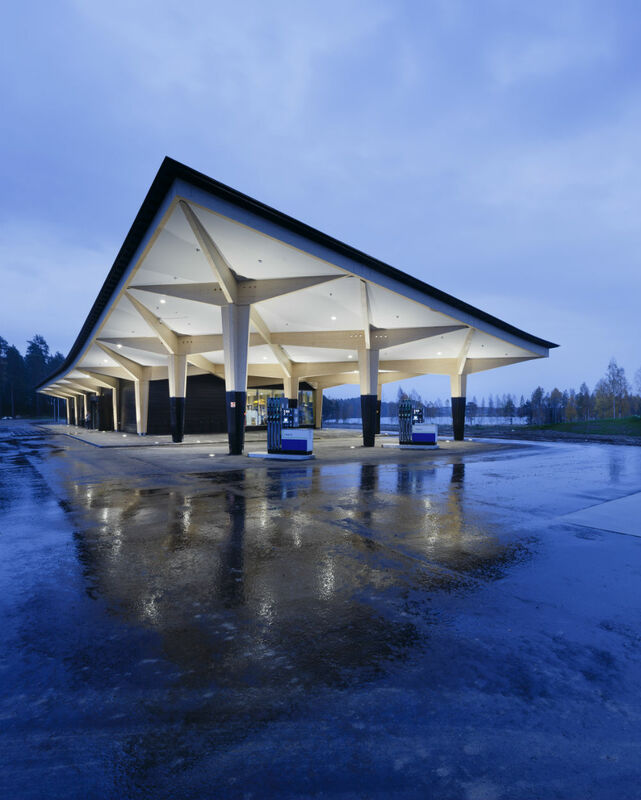 The main building is a buffer between traffic and nature, comprised of 24 tree-like columns placed on an 8m x 8m grid. The canopy combined with the columns gives visitors a feeling of being in a forest. Black boxes conceal support function leaving it undisturbed and minimal in appearance. 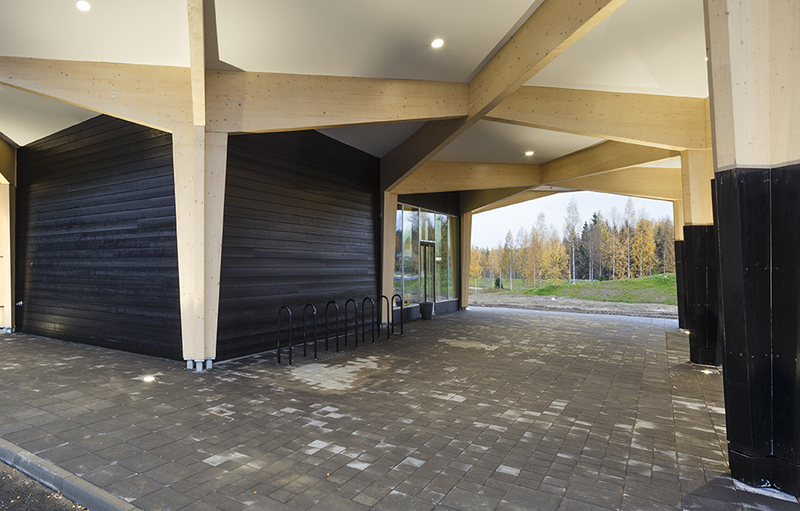 Columns are constructed with glued laminated timber sourced from local wood while CLT (cross laminated timber) are adorned on the walls enhancing the ambience and bringing a sense of calm and peace to visitors. 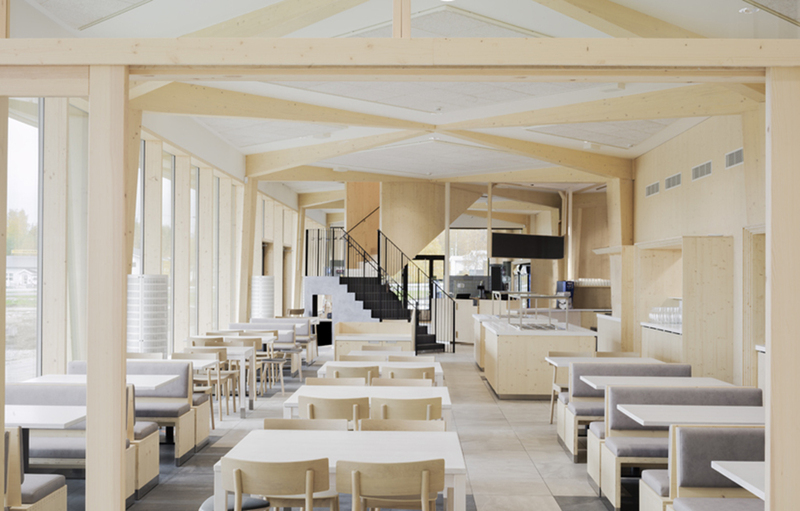 The building achieves its innovative features through the use of local wood and sustainable materials while it houses 10 hotel rooms and a sauna for the ultimate relaxation pit-stop.